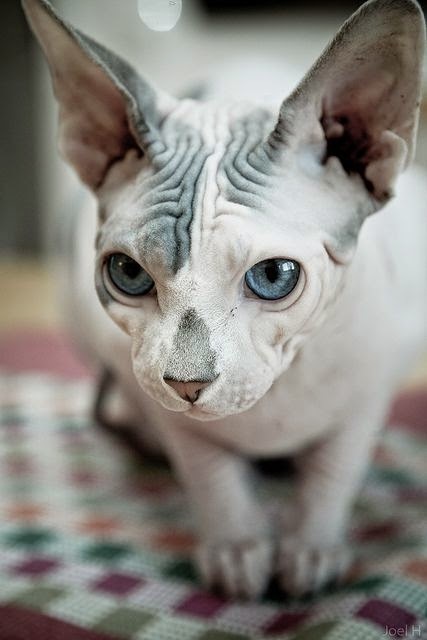 The Peterbald is just like the Sphynx, only it developed in Russia instead of Canada. Its main feature is its blue eyes. It is affectionate and energetic, and can live peacefully with other pets. It is also a loyal cat, as Peterbalds are known to follow its owners wherever it goes. The cat is well built, though in a graceful and elegant way. Its ears are set apart, while its eyes are shaped like almonds.